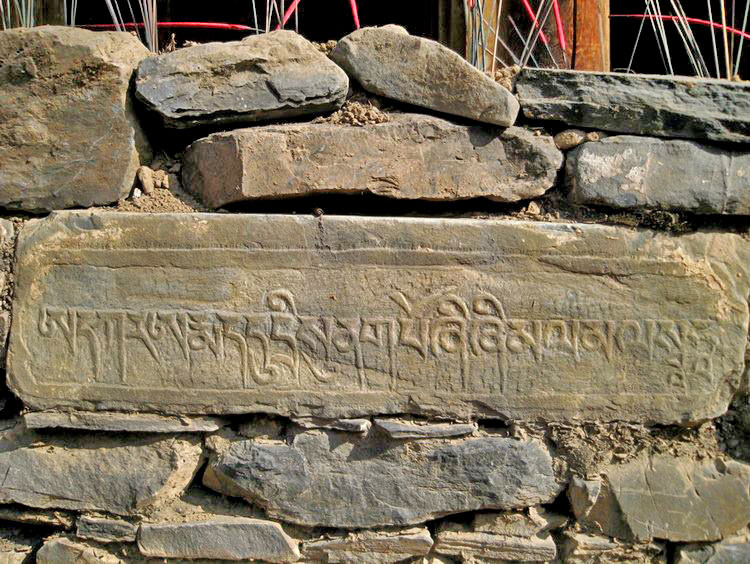 Stones containing mantra are often placed in stone walls around a village. This is one of the three heart mantras of the Yungdrung Bön tradition. AH KAR A MÉ DU TRI SU NAK PO ZHI ZHI MAL MAL SOHA. Posted on October 26, 2013, in Prayer and Ritual, Tibetan Culture & History, Uncategorized and tagged Asian studies, mantra, prayer, sacred, tibet, Tibetan culture, yungdrung bon. Bookmark the permalink. 1 Comment. Bonpo, beautiful, very interesting, looking forward to learning more. Blessed be, David.